Although no one seems to be writing about the topic, Kim Il Sung’s life and works are likely to play an important role in justifying any new direction taken in North Korea, just as the present order, just as that life and those works undergird the present order even as the constant public reminders of that early era kindle a certain revolutionary nostalgia in the DPRK. Thus it behooves us to read the man’s memoirs, “With the Century,” whose multiple volumes are sometimes referred to in biographies of the Kim family, but rarely stand on their own as the subject of news stories, much less scholarly journal articles. I am revisiting volumes 5-7 in my less-than-voluminous spare time this week, and thought I might lay out a few thoughts on the blog in response, pulling together a kind of fragmented yet potentially useful reading summary. The entire memoir, by the way, is available as a pdf. here. If nothing else, it’s a good 1500+ page pdf. to have on your hard drive in the event that you get stuck, for instance, in a cabin on the Russian taiga with no internet connection for several weeks. Or, alternatively, if we’re looking for the roots of what Adrian Buzo has called “the guerrilla regime,” wartime Manchuria is probably one of the best places to start. In Volume 5, Kim Il Sung recounts the events along the Sino-Korean border from May 1936-March 1937. Let’s just isolate the first 40 pages of this tome, shall we? The dilemma confronting the young Kim Il Sung in 1936, at the outset of this volume, is how to maneuver between puppet Manchukuo forces and rival anti-Japanese units. It is a Hobbsean world without steady ally, in which friends can become enemies, in which one’s enemies can be at least temporary friends. Immediately, we see Kim reaching a mutual understanding with the local puppet forces that neither will attack the other, and Kim uses the breathing space to bury his organization’s archives on the Minsaengdan Incident that had so badly decimated his party (pp. 4-6). The guerrillas may have been planting grain as they went, but they also dug into the northeastern earth in order to conceal their collective past, and, in hiding it from the Japanese, hid it too, from themselves. So much of this past, as Kim duly notes, is now irretrieveable. In 1935-36, a number of Kim’s putative allies went over to the Japanese side. 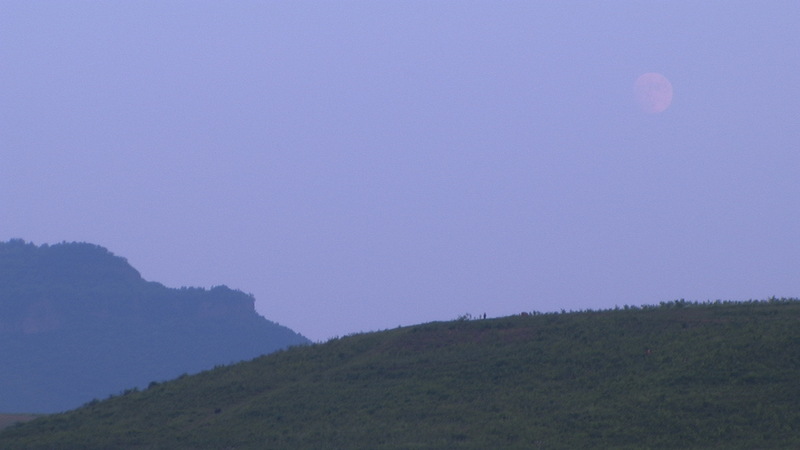 According to Kim Il Sung, the extreme violence of Japanese anti-guerrilla operations was in part responsible: in Fusong, the walled town that was at the center of much of Kim’s early life, one could find the decapitated heads of former guerrilla commanders displayed in the streets (p. 10, 15). Since the Japanese attached great importance to Fusong as a key to control of the Sino-Korean frontier area, they would take rebels into the marshes outside of town and execute them, according to Kim. Looking back on these cruel conditions, the old man Kim Il Sung engages in the logic of the liberator, perhaps conflating Fusong 1935 with Seoul 1950: “I thought then that an attack on the town of Fusong would constitute the most sympathetic greetings to the townsfolk, as well as an expression of the warmest and truest love I could offer them” (p. 26). He goes so far as to relay the contents of his thought process on attacking the city, noting that he had ultimately to argue that the absence of an attack on the town would be an unacceptable loss of prestige for his guerrilla unit. Self-preservation was something he did rather well, but the notion that, having military power, one is obliged therefore to use it, is perhaps not one of the more positive intellectual legacies which Kim Il Sung has left his descendants. The memoirs are particularly interesting to read as a kind of often-subtle corrective to the hagiography and the much-more sanitized and mythologized versions of DPRK historians. Kim mentions that the Battle of Fusong “produced an anecdote about Kim Jong Suk” killing Japanese with Mauser pistols; the voicing of this statement seems to acknowledge rather explicitly that the story was manufactured later, as were most of the stories about Kim Jong Suk’s direct participation in violent struggle. Given the care that North Korean propaganda has lavished this past year on the idea of strong military-civilian relationships, it is a bit astonishing and perhaps even refreshing to read Kim’s own words about how his actions impacted local civilians. In response to his attack on Fusong, the Japanese sent bombers all the way from Changchun. Kim relays the excitement of his guerrilla group in sitting outside of town, watching the bombs fall on the surrounding areas which included farms (p. 36). Concern for local farmers is lost, as, after all, as Kim admits rather nakedly, the goal was to achieve a political impact, not a military victory and certainly not the ultimate safety of the Chinese and Korean civilians living in these particular border zones (p. 38). Finally, in the midst of describing his own struggles, Kim Il Sung does not censor his own thoughts about what he sees as the most pathetic aspects of Chinese society. Noting that in his army, opium addicts were simply shot, he recalls scenes from China: “Wheerever I saw opium addicts looking vacantly at the world with dim eyes and snivelling noses, I could not help recollecting the long bloody history of our [Chinese] neighbors and feeling pity for its people (p. 30). Even under life-and-death conditions, Kim Il Sung still had the presence of mind, or so it seems in this memoir, to look down on the Chinese.